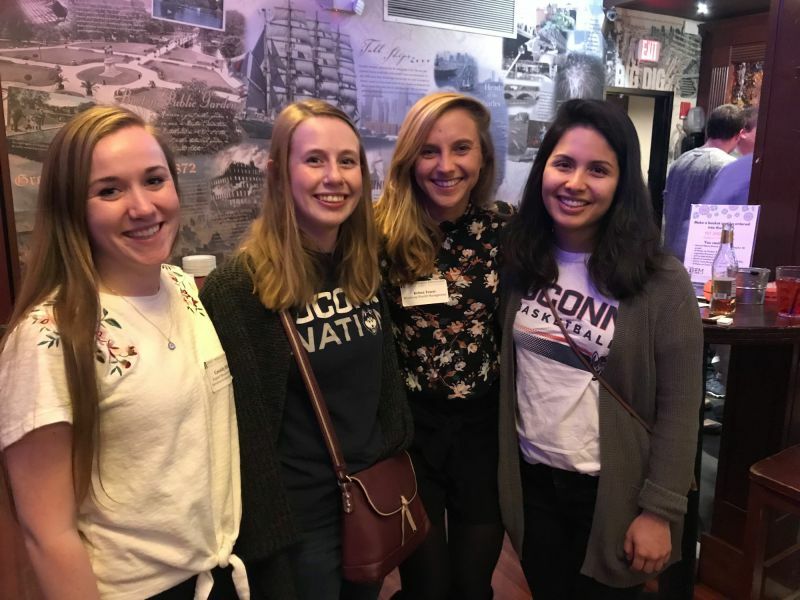 Expect Miracles Foundation’s young professional group (YPEM) gathered on Thursday, March 15, 2018 at The Greatest Bar in Boston for Shooting for a Cure: YPEM March Madness. This evening of basketball and fundraising brought together 90 young professionals to watch the first round of the NCAA tournament. Whether a basketball fan or not, guests enjoyed networking, free appetizers, the first round of March Madness, the opportunity to participate in the YPEM March Madness Bracket Challenge, giveaways, and a chance to learn about upcoming events and volunteer opportunities. Attendees had the opportunity to participate in the YPEM Bracket Challenge. Guests were able to purchase March Madness teams from the 64 teams in the tournament. Live at the event, guests randomly drew teams. From Alabama, to Providence, to Virginia, teams were pulled one by one until all 64 teams were gone. 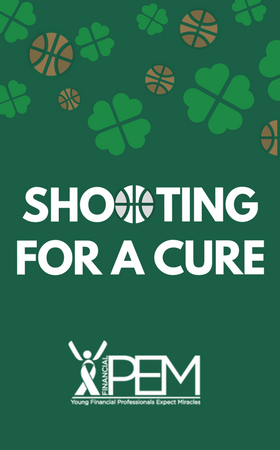 Everyone participating in the bracket challenge will be informed if their team wins the tournament, and they will win their choice of: team entry into the Expect Miracles Kan Jam Classic (August 2018), OR 2 tickets to the Expect Miracles Wine & Spirits charity event (November 2018). Be sure to follow our social media to stay up to date on who is winning the tournament and keep an eye on your inbox if you picked a winning team! Just for attending, all guests were able to take a shot on our mini basketball hoop. If they made a basket, they were entered to win prizes such as a Samuel Adams Brewery Tour & Tasting for 20 people, Lagunitas Brewery Swag, a month of membership at Boston Sports Club, and 10 Rides on Swan Boats of Boston. Congratulations to all our winners and thank you for participating! Thank you to everyone who attended and supported the fight against cancer. 75% of net proceeds are directed to the Expect Miracles Foundation College Scholarship, which is awarded each year to a student who is currently undergoing treatment, or has survived cancer. 25% is directed to cancer research at the Dana Farber Cancer Institute. Please save the date for our 5th Annual Expect Miracles Trivia Night on Wednesday, June 27, 2018 at Howl at the Moon Boston. This year’s event is going to be bigger and better than ever with tables for every team AND a VIP section! Contact Cassidy Billings at cbillings@expectmiraclesfoundation.org if you have any questions regarding events, volunteer opportunities, or getting more involved in Expect Miracles Foundation through our young professionals group.